An insightful article that focusses on the clues in a seal and set of sixteen tablets found together at Harappa in 1997 to proffer that they may have been economic tokens, much as similar objects were used in two contemporaneous civilizations. Many pieces of circumstantial evidence seem to fit the hypothesis, including a set of tokens recently found in Kutch. Examining the use of seals, sealing and tablets in societies seems like a promising avenue of research, especially when we have solid documentation of similar objects in other civilizations with whom Indus peoples traded. The Indus script remains one of the last major undeciphered scripts of the ancient world. 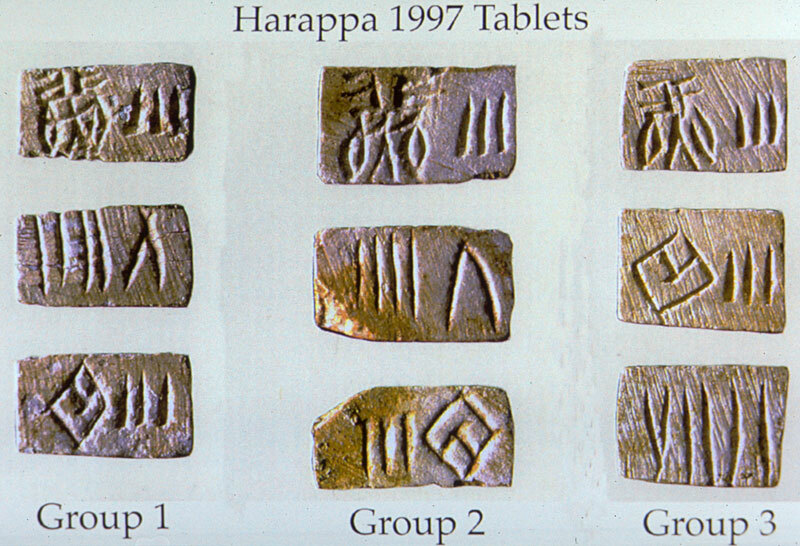 We focus here on Indus inscriptions on a group of miniature tablets discovered by Meadow and Kenoyer in Harappa in 1997. By drawing parallels with proto-Elamite and proto-Cuneiform inscriptions, we explore how these miniature tablets may have been used to record rations allocated to porters or laborers. We then show that similar inscriptions are found on stamp seals, leading to the potentially provocative conclusion that rather than simply indicating ownership of property, Indus seals may have been used for generating tokens, tablets and sealings for repetitive economic transactions such as rations and exchange of canonical amounts of goods, grains, animals, and labor in a barter-based economy.